The more men and women who raise funds and GO PINK this June, the closer we get to stopping deaths from breast cancer! So what are you waiting for?  Ask your workplace to GO PINK and see if they’ll match the money you raise! Start some friendly fundraising competition between colleagues to up-the-ante. 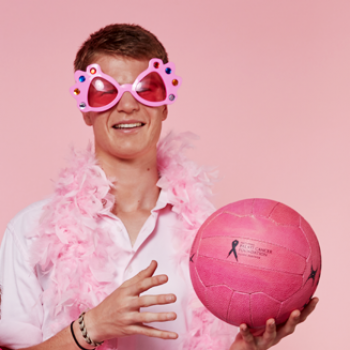 Reach out to your local AFL, soccer or surf-lifesaving association and ask them to GO PINK. Host games or food stalls on the sidelines to bring in extra funds. 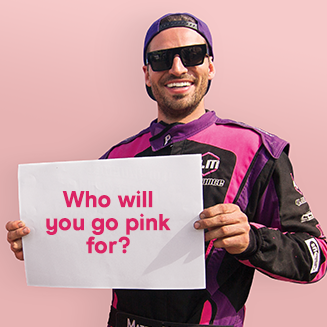 Round up the blokes and pledge to wear pink every day for a week! Auction off personalised pink shirts, hard hats and high-vis shirts to raise funds. Gather your friends, family or workmates and see who struts their stuff best in pink! Charge entry to anyone and everyone who wants to watch on. Whether you’re heading to the gym, the shops, on a date, or out with friends, pledge to wear pink - for a price! The more pink you wear, the higher the price. 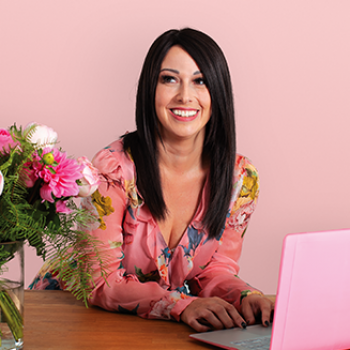 "I did GO PINK to share my story with my friends and family in a positive light. 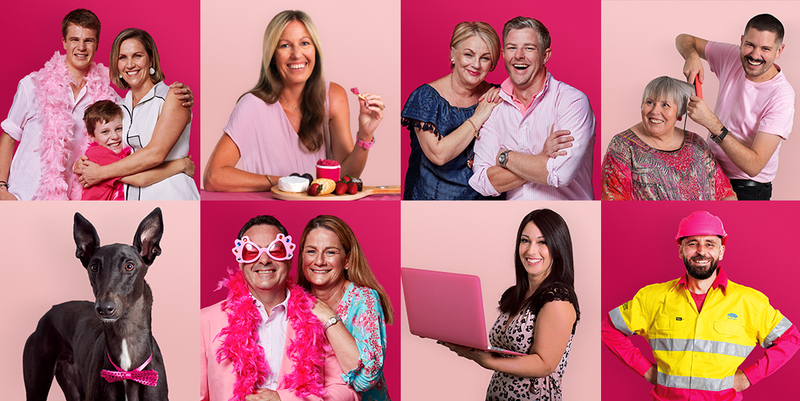 I wanted to publicly thank the people close to me who gave me much needed support throughout my treatment"
Your online fundraising page is your most useful tool - make sure it's personalised with a photo of yourself and some details on why and when you’re going pink. Tell your mates. Tell your mate’s mates. Tell your colleagues and your kid’s mates at the school gates. Get them to join you because growing a team is the easiest way to make a bigger impact and have more fun! 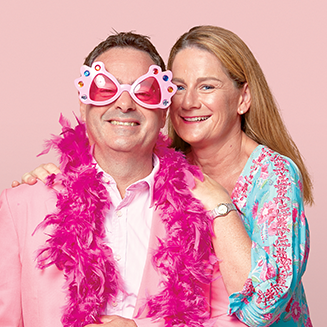 Going pink is great, but raising money will make a REAL difference. Share your online fundraising page with as many people as possible and ask them for a donation. If you’re on a roll, think bigger. Could you host a pink-themed party in June? Pledge to do a dare if you raise an amount of money? Get your workplace to match your donations? Let your imagination run wild and have fun with it!